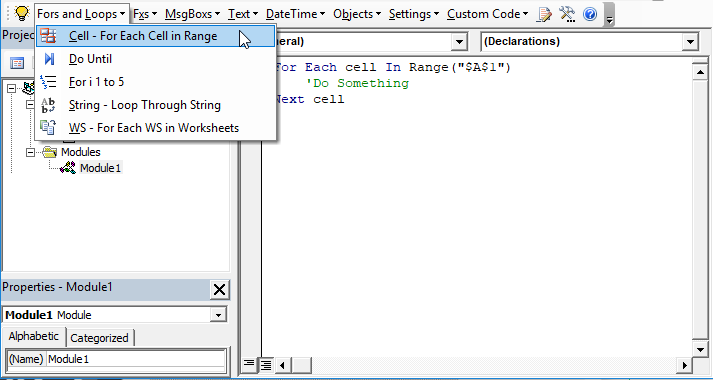 Easily save and insert your own code fragments. Share with team-members. Code is inserted with just a mouse-click (or better yet, using keyboard shortcuts.